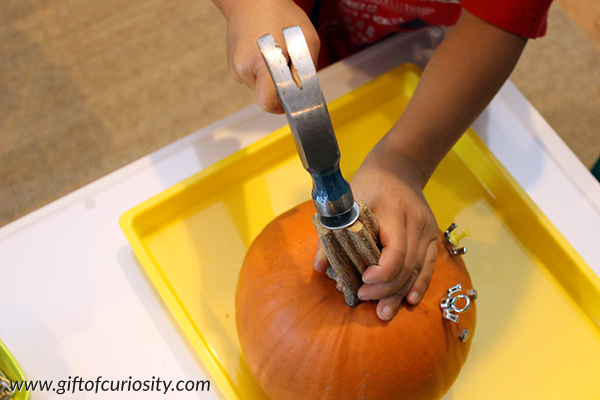 Today I’ve got a cute idea for decorating your pumpkins this year that will also develop kids’ fine motor skills. 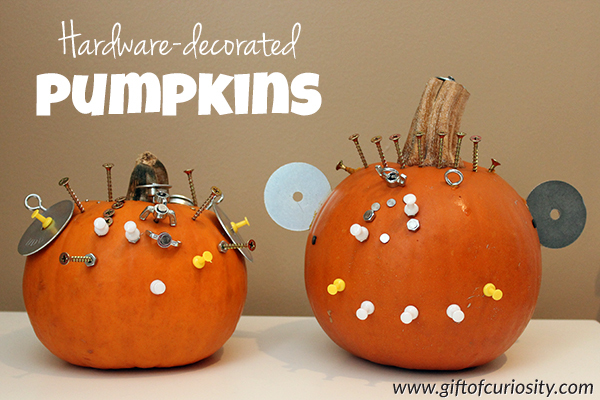 Check out our hardware-decorated Halloween pumpkins for some inspiration! 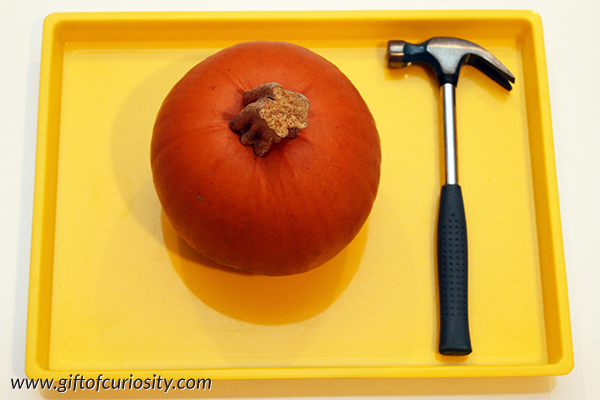 Note: For more kid-friendly Halloween activities, see my Halloween activities for Kids page. CAUTION! As with any activity, you will need to determine if this activity is safe for your child given his or her developmental level, fine motor skills, and ability to use the materials safely. Provide appropriate safety gear and adult supervision at all times when doing this activity. 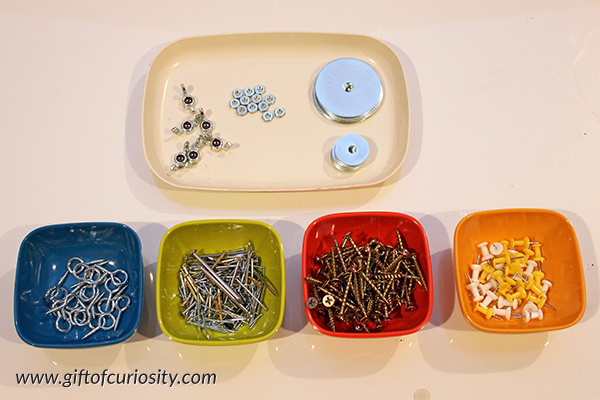 I also set out containers with a variety of nails, screws, pins, washers, and other items I picked up in bulk from the hardware store. 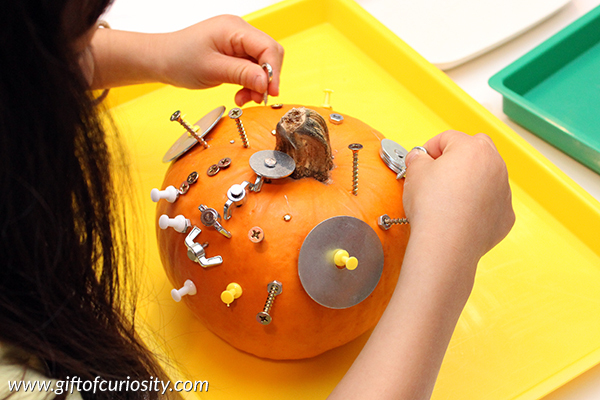 The kids were game to get to work on their hardware-decorated pumpkins. They used the pushpins to hold some items in place. And they used the hammer to nail other items in place. They got extremely creative with their decorations, and had a blast filling their pumpkins with as many decorations as they could. And this is how their pumpkins turned out! 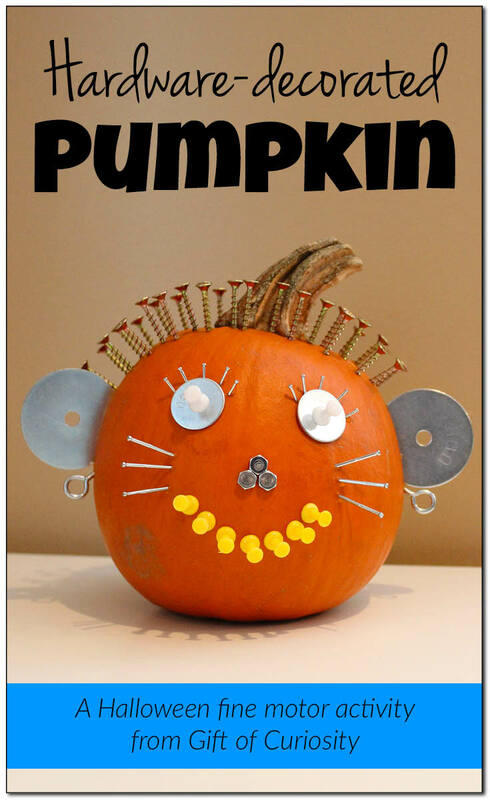 Looking for more Halloween projects that incorporate Science, Technology, Engineering, Art, and Math (STEAM)? Then you’ll love STEAM Kids Halloween. 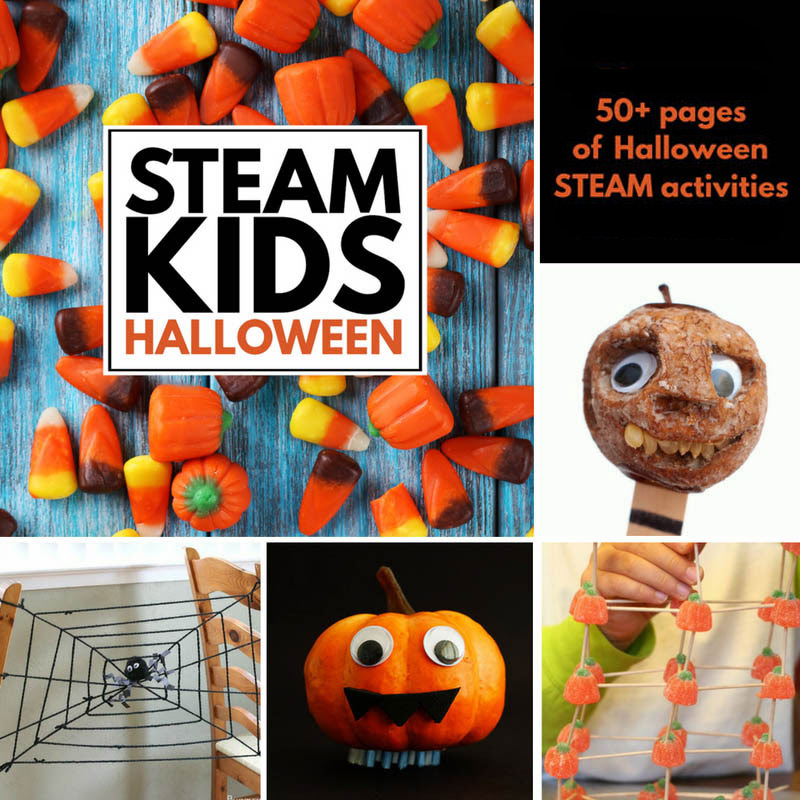 This e-book includes 50+ pages of spooky fun STEAM activities that will wow the boredom right out of kids! You can find more Halloween activities and printables on my Halloween Activities for Kids page and Halloween Activities for Kids Pinterest board. 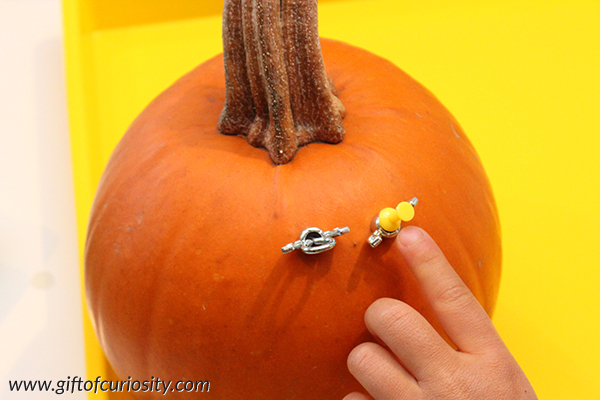 Follow Katie @ Gift of Curiosity’s board Halloween Activities for Kids on Pinterest.